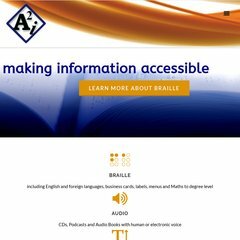 Topics: Customer Area, Customer Zone, Braille, Audio, and Daisy. The estimated 26 daily visitors, each view 1.80 pages on average. Memset Ltd (England, Guildford) is the location of the Apache/2 server. PHP/5.3.8 is its coding language environment. ns1.iboxnameservers.co.uk, and ns2.iboxnameservers.co.uk are its DNS Nameservers. PING (78.31.110.42) 56(84) bytes of data.